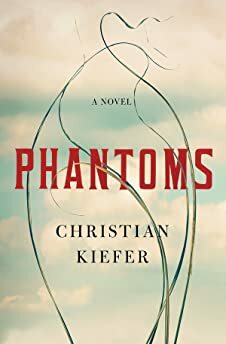 Largehearted Boy: Christian Kiefer's Playlist for His Novel "Phantoms"
Christian Kiefer's Playlist for His Novel "Phantoms"
Christian Kiefer's novel Phantoms is propulsive, expansive, and haunting. "Sweet life spills from every perfect word. It will break your heart, and in the breaking, fill you with bittersweet but luminous joy." Phantoms is, in many ways, my most romantic book and the music I’ve chosen here holds within its various shapes a sense of that romanticism. Takemitsu’s composition here is simply lovely, filled with motion and swelling strings. (I’m a sucker for swelling strings.) This feels like a lot of the personal trauma I associate with the characters in the book—trauma, but wrought, I hope, with beauty. Takemitsu originally composed this piece for Yehudi Menuhin and it was meant as a kind of requiem or tribute on the passing of the great (in my opinion greatest) film director, Andrei Tarkovsky. I spend a great deal of my writing time listening to drone music. Hakobune’s Nebulous Sequences is among my favorites. The best drone goes texturally deep, which is, I think, what I’ve always strived to do in my writing—to create a kind of stillness on the surface but to have an endlessness just underneath. This is a kind of musical white noise that provides enough buoyancy to let my mind go. Radigue’s body of work is impressive and continually searching. Her feedback loops are interesting but I prefer the three great slabs of slowly morphing drone that make up this trilogy. I appreciate ambition and Richter here is nothing if not ambitious. Sleep is comprised of nearly 8.5 hours of music, a kind of romantic drifting that feels somnambulant but is never boring. Again, that sense of romanticism which is, I think, central to Phantoms. This also reminds a bit of the the great Japanese pianist and composer Ryuichi Sakamoto. Emergence is a compilation of contemporary experimental music from Vietnam and in many ways it could, as a whole, form a solid soundtrack to Phantoms. The music has an organic feel throughout and with Đỗ Tấn Sĩ’s track here there’s a clear sense of drifting that I respond to very quickly. This feels damp and murky to me, but in the best of ways. Another Đỗ Tấn Sĩ track here. This is a bass ambient workout and it’s also simply lovely. Music like this helps slip me toward that place where I keep words and music. This one’s in a lower register, not quite the chopped and screwed tones you hear underpinning Nicholas Britell’s lovely Moonlight soundtrack, but the musicality is present and the effect is beautiful indeed. Britell’s soundtrack work is some of the most moving music I have heard in my life. This brief piece from Moonlight—not even a minute long—is stunning in its clarity and grace. Were it written for my book, it might well have been Ray Takahashi’s tragic, beautiful, lonely theme.